I wanted to be proactive and start hating Christmas before it even started being a thing, but sadly I’m already starting to see reindeer and cookies with red-and-green sprinkles. The winter cards aren’t back in the store yet because I’m lazy, but they will be soon, and this one will be among them. 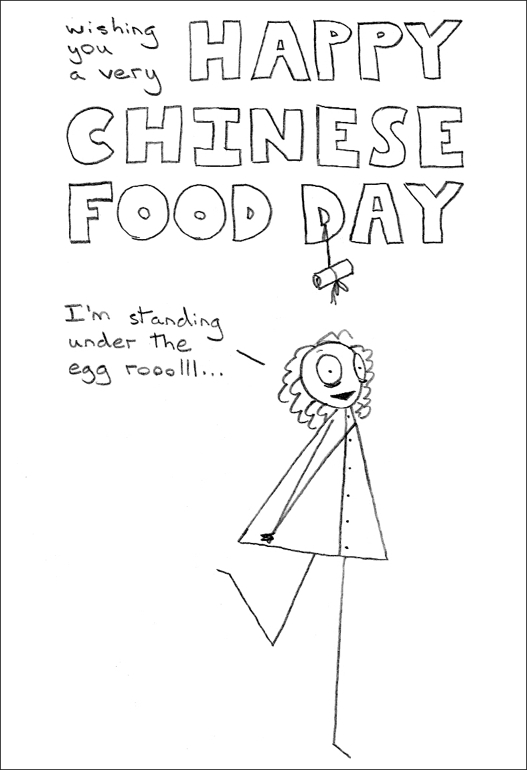 In case this comic makes no sense to you, American Jews often go out for Chinese food on Christmas Day, because you’ve got the day off work and most places are closed and you have to do something. Xmas hasn’t been the same since I moved from NYC to Portland. Sure, there’s perfectly good Chinese food here, but what’s Chinese on Xmas without other Jews?